The D-277 stand is adjustable in tip and tilt. 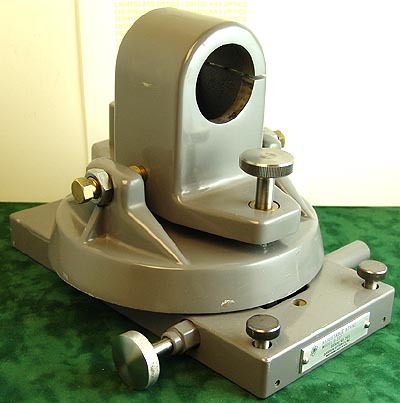 It has a 3-foot system for use on optical tables as well as a threaded bore for mounting on optical stands. It will accomodate any alignment telescope with a 2.250 inch diameter barrel. Very solid and well built.